A thought-provoking presentation where attendees will learn helpful charitable gift planning options that go beyond beneficiary designations within wills and living trusts. 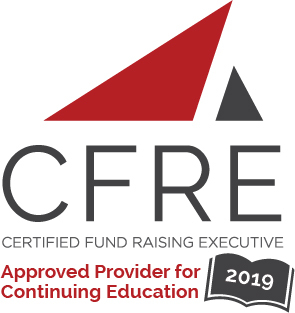 By the end of this course, attendees will gain a deeper understanding of the basic principles of Charitable Remainder Trusts and Charitable Lead Trusts. We will also investigate the potential advantages of Charitable Gift Annuities, as well as strategies for closing these gifts. Scott is an attorney with experience presenting educational lectures to a variety of groups and audiences. He previously served on the board for the local Financial Planning Association where he offered many educational sessions and lectures at annual “Planning Pays Off” events. Scott is also a past president of the Stockton Estate Planning Council and, while I was involved with that group, if memory serves me well, he helped secure speakers for that. Prior to opening his own firm, Beattie Aghazarian Law Firm, a few years ago, he worked for the Calone Law Group in Stockton (now the Calone & Harrel Law Group) and regularly presented to various CPA groups in the East Bay and also wrote a number of tax and estate planning articles for the local Business Journal. He also served as the past Chairman of the Community Foundation of San Joaquin. This program is accredited for 1.5 hrs by CFRE and appropriate for all planned giving professional levels. You may cancel your registration and receive a partial refund minus a $5 processing fee by 5pm, Tuesday, April 23.